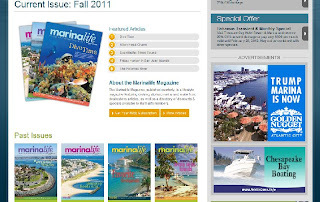 We have also done a few articles for Marinalife Magazine and Susan has an article that has just been picked up by Cruising World. 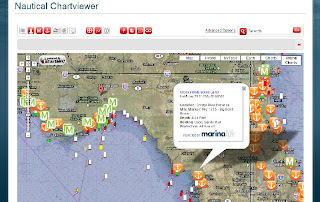 We've compiled many of our anchorages and included them in the Marinalife Chartviewer, plus we have an article for anchorages along the ICW that we will be posting later. Keeping up with all of our other writing has kept us off the blog for a while, but we will make it up soon. Besides working to build the cruising Kitty, we are renovating the flybridge and will post on that as soon as we're a bit farther along. Our plan is to replace the old fiberglass seats, Awlgrip areas we have not done yet and redo the non-skid on the decks. It's still a work in progress, but we are moving along. 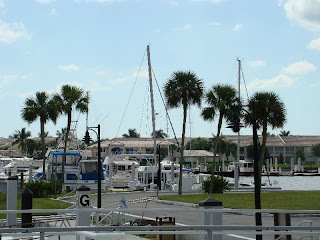 We are in our third marina since we arrived in south Florida. We have always wanted to be able to sample different locations rather than just park in one spot as we have often done. Being able to do this is not only fun, but it lets us feel more like we are still boating rather than just sitting and working. More on that later too. The big projects are yet to be done. The autopilot will be next after we finish the flybridge. After that, and a few smaller things, we will tackle the generator. So stick around and sign up for Marinalife updates through email or RSS feed, and we will keep on keepin' on.